When Swindon Council organised a peace celebration for homecoming servicemen in the summer of 1919, things turned ugly. With disabled and demoralised men commonplace on the town’s streets, the expensive flagpole that was the centrepiece for the event became the focus of their anger. A mob of disgruntled ex-soldiers burned the flagpole down and at one stage were seen marching down Regent Street, intent on using the remains of it as a battering ram. Rodbourne man William Blake – himself a veteran of tank warfare – witnessed the event and wrote about it in his memoirs, and his account of the riot is published for the first time in the Summer 2013 edition of Swindon Heritage. The magazine will return to the memoirs in its Autumn 2013 (to be published in August) to reveal William’s historic role in the war. 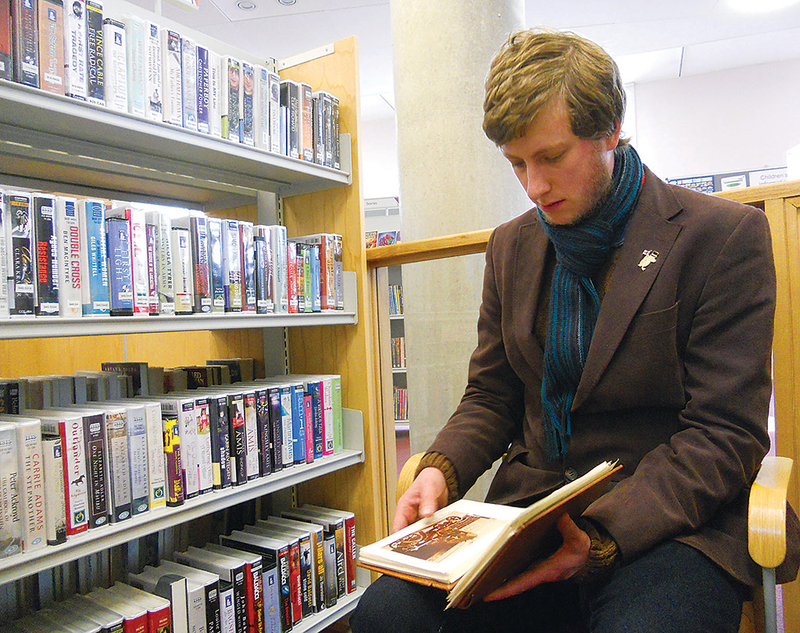 Swindon librarian Tom Blake is pictured with the memoirs.